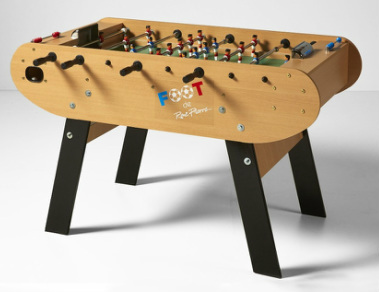 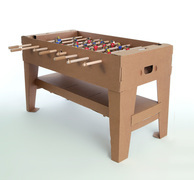 The foot is an indoor table made with kids and family in mind. 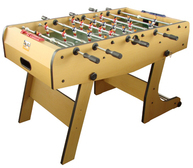 The telescopic rods don't shove through the other end of the table to keep your family safe. 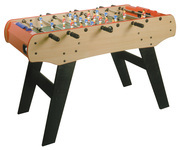 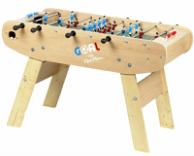 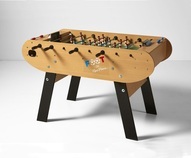 This model is very similar to the Goal and features a green melamine playing surface, ergonomic handles, and a true European style game. 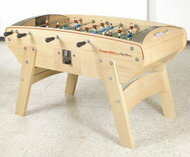 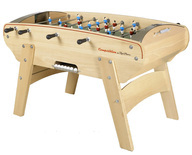 The solid wood construction on this table will make sure it is still around for years to come even with your kids beating on it.